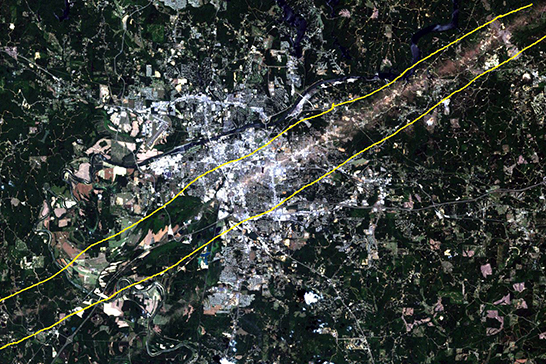 When the devastating EF4 tornado ripped through Tuscaloosa five years ago, it left a 7.5 mile long path of destruction in its wake. Rosedale, University Place, Forest Lake, Cedar Crest, Wood Square/City Center, and Alberta City were some of the most heavily impacted areas, but in five years Tuscaloosa is on the rebound. 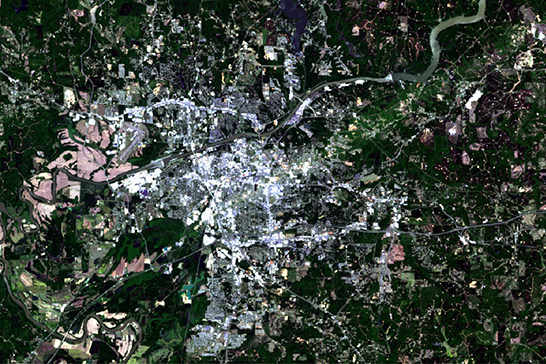 The following images were captured via satellite remote sensing over the course of seven years, and they showcase how Tuscaloosa is not only recovering but growing. 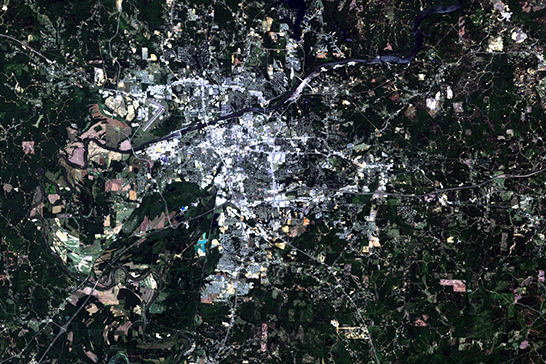 On May 19, 2008, Tuscaloosa was two years from disaster. Vegetation was lush, and the city was thriving. On April 27, 2011 at 5:13 p.m. the tornado touched down, and thirty days later this image was taken. Trees, buildings, and homes were uprooted leaving a path, 1.5 miles wide, directly through the city’s center. The tornado’s course can be seen between the hand-drawn yellow lines. Roughly three years after the disaster, on May 4, 2014, much of the city was rebuilt, and vegetation had begun to regrow. Taken just days before the fifth anniversary of the tornado, this image clearly shows that while memories of the tornado will last forever, the destruction and disaster have become an opportunity for recovery and growth. Each of the four images were acquired from Landsat 5 TM and Landsat 8 OLI sensors at the altitude of 750 miles above the earth. The spatial resolution is 30 meters on the ground. 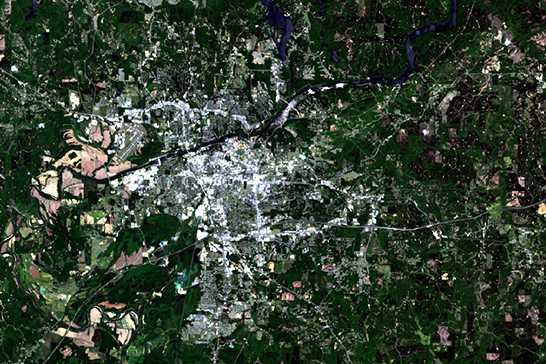 For questions about these Landsat images, please contact Dr. Luoheng Han, 205-348-7007, luoheng.han@ua.edu.